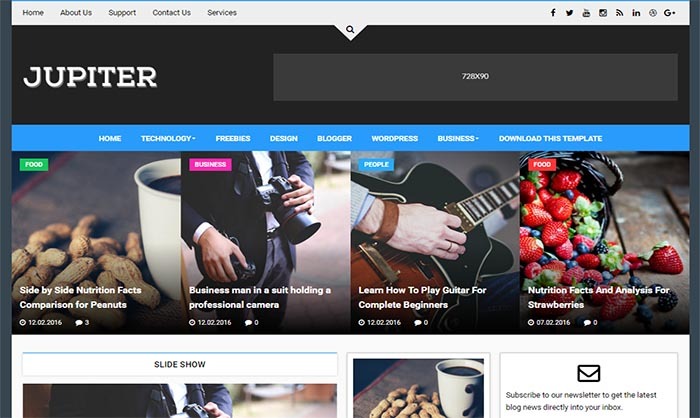 Jupiter Blogger Template has everything you need to make your blog stand out. This template is fully customizable and very flexible and we believe you will love it as much as we do. It is carefully crafted with easy customization for bloggers in mind, impress your audience with smartly clean, and stately aesthetic modern blog look. You can showcase your content in an effortlessly timeless style with this theme. Jupiter Blogger Template is ready for all modern SEO techniques and plugins, and it is totally responsive, mobile friendly, and, most importantly, lightweight.